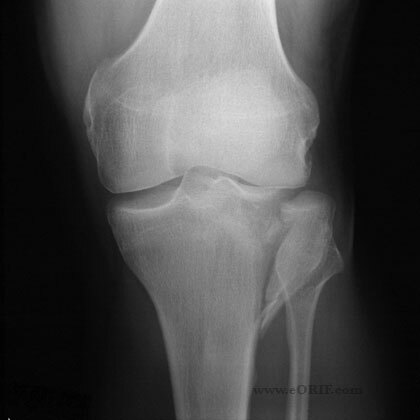 28y/o male sustained a displaced Schatzker Type II tibial plateau fracture sliding into home plate while playing softball. 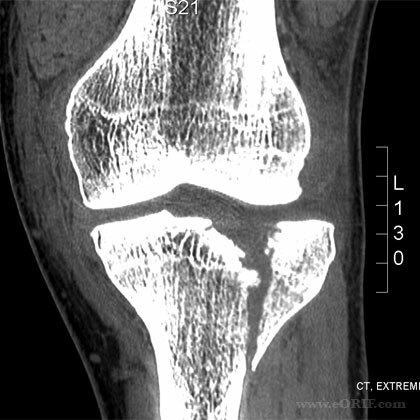 Coronal CT (non in traction) better shows the depressed medial aspect of the lateral tibial plateau. 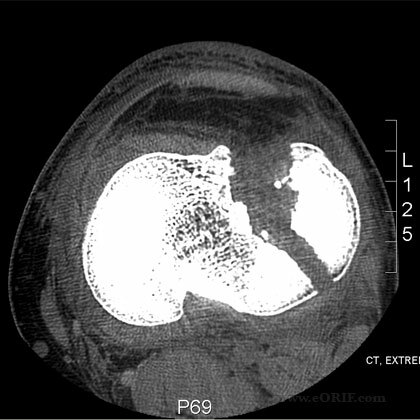 Axial CT (not in traction). Knee arthroscopy was performed first. 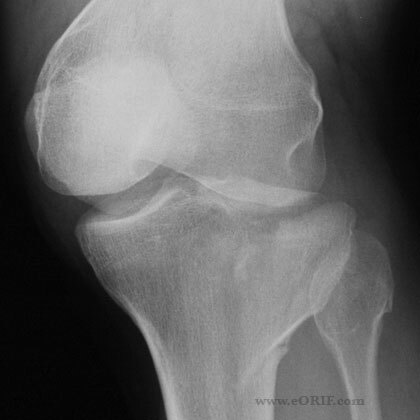 The lateral meniscus was displaced into the notch in a bucket-handle fashion with the majority of the meniscus avulsed from its capsular origin. 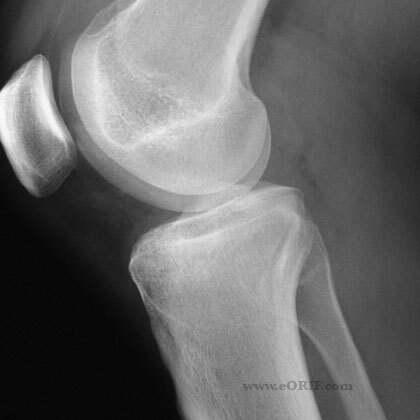 The fracture was approach using a lateral parapatellar incision. See ORIF Technique. 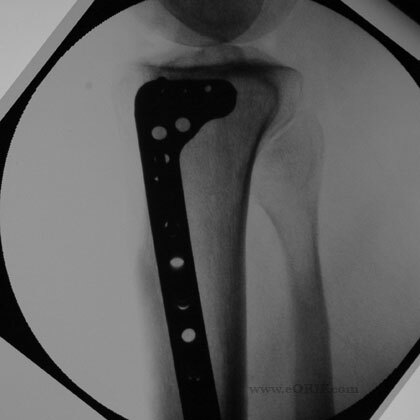 Reduction was obtained with longitudinal traction. The medial aspcet of the plateau was tamped back into place. 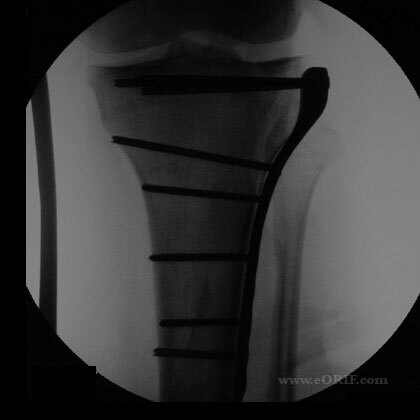 The meniscus was repaired with 3 horitzontal mattress sutures. 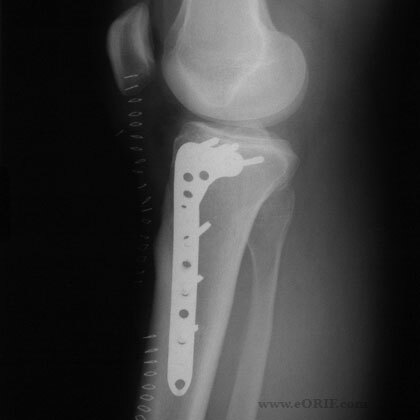 A Zimmer periarticular locking plate was selected. Two non-locking lag screws were placed proximally first. 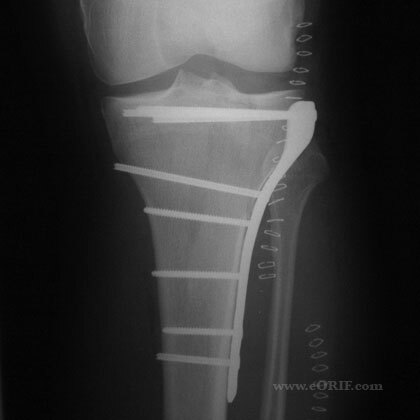 The distal screw holes filled from seperate lateral incision.